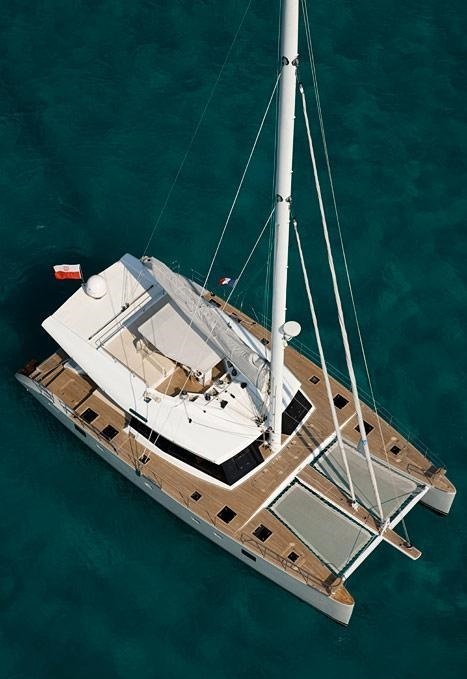 Built by the prestigious shipyard of Sunreef in 2008, the 18.9m (62ft) catamaran MISS KIRSTY exudes luxury from her elegant interiors, to her generous teak decks. 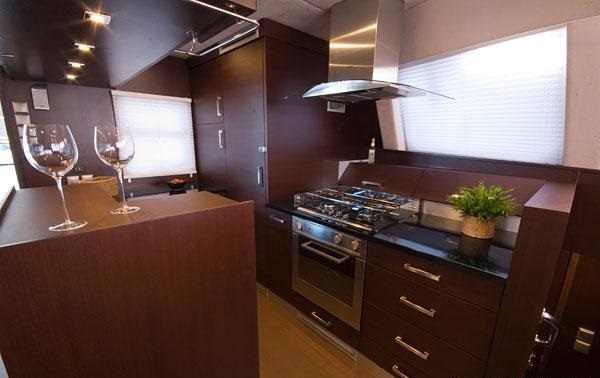 S/Y MISS KIRSTY can accommodate up to 8 guests in 4 double, en-suite cabins. Crewed yacht MISS KIRSTY is available for yacht charters in the Caribbean year round. 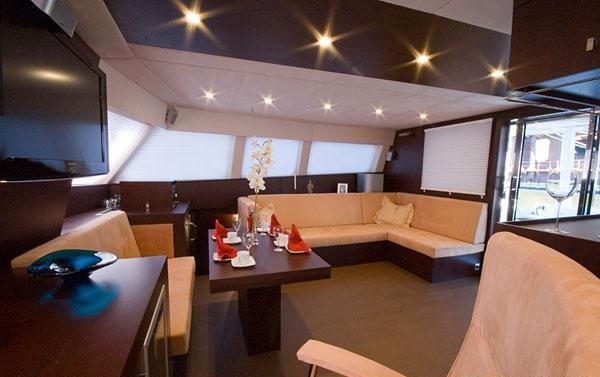 The Sunreef 62 MISS KIRSTY offers a relaxed and elegant interior ambiance. The salon and dining is a contemporary open plan, featuring earthy tones of dark Wenge woods with light Alcantara headliner and Skai upholstery. 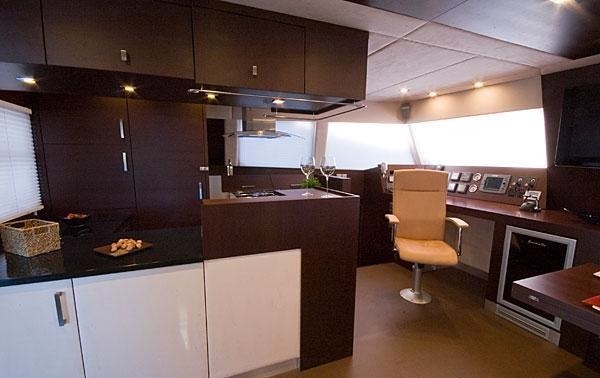 The galley is to port with a large counter, which serves well as a wet bar, idea for entertaining. 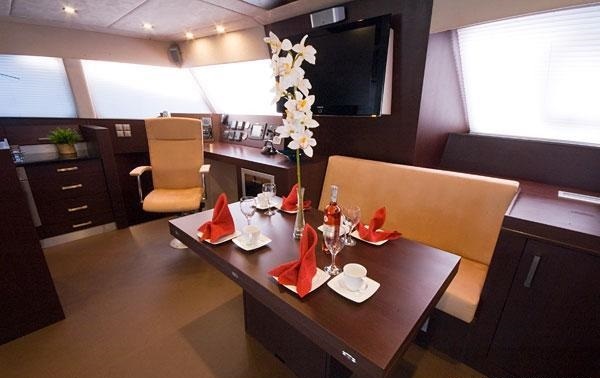 The lounge boasts an L shaped sofa and coffee table to starboard, with the formal dining table forward. 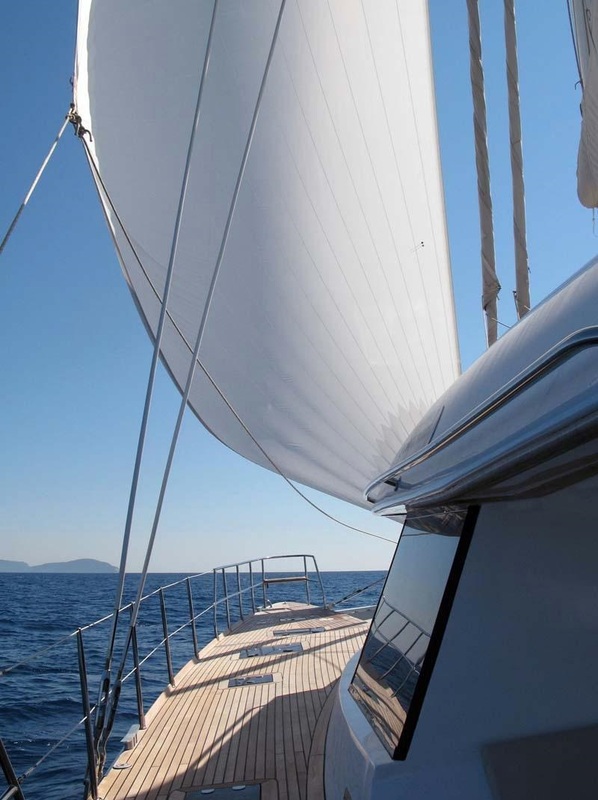 Guest accommodation is in both the port and starboard hulls, each with private en-suite facilities. 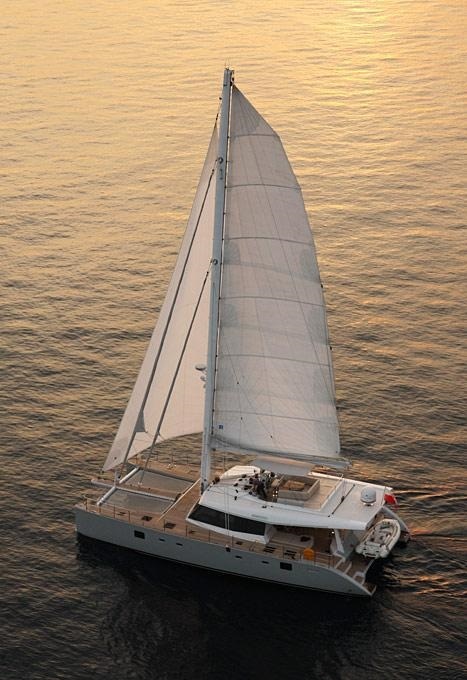 The catamaran MISS KIRSTY has ample teak decks to relax and enjoy the tropics. The cockpit is shaded and directly adjacent to the salon, offering plenty of comfortable upholstered seating, sunpads and an alfresco dining option. Further aft, the port and starboard transoms are connected with a cross over deck, creating a fabulous swim platform, ideal for making the most of the water toys on offer. 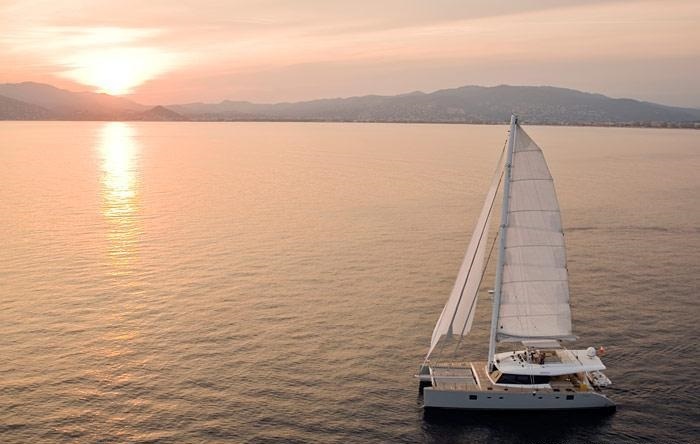 With a beam of 9.4m (31ft) and 360° deck access, MISS KIRSTY catamaran is wide, stable and easy to walk around, whether at anchor or under sail. 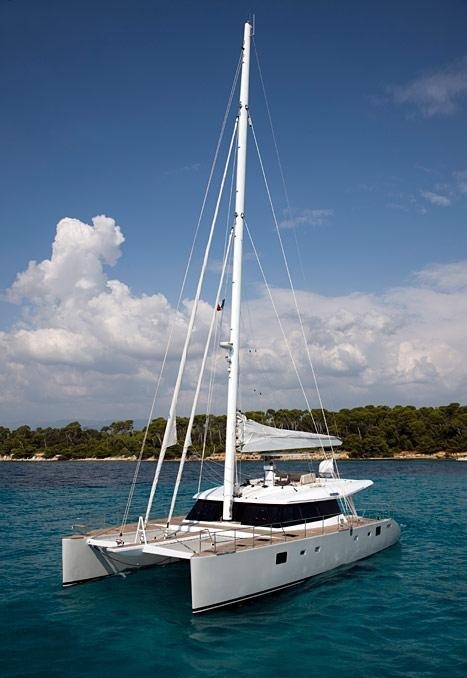 The foredeck boasts plenty or space and 2 large safety trampolines, perfect for the sun lovers. Above her main deck, crewed charter yacht MISS KIRSTY features a generous flybridge, complete with shade, seating, large sunpad, fantastic views and an additional alfresco dining option. Luxury yacht MISS KIRSTY offers 4 en-suite cabins for up to 8 charter guests. 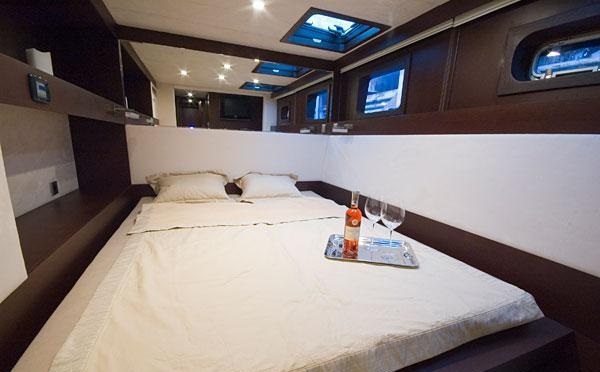 The 2 aft cabins are on port and starboard and offer queen size beds. 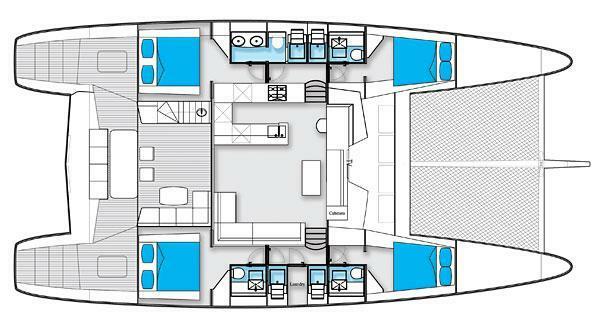 The 2 forward cabins are on port and starboard and offer double beds. 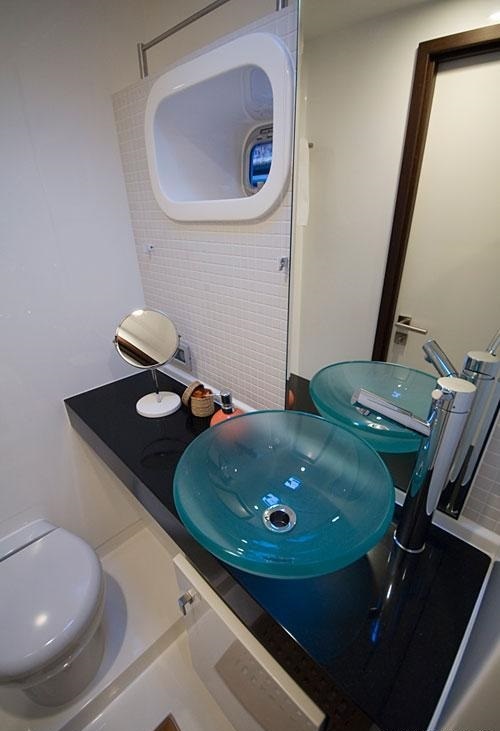 Each cabin has individual air conditioning, TV entertainment and en-suite facilities with electric heads. Cat MISS KIRSTY has a Dinghy: Avon / 15ft 0in (4.5m) / 100HP, Wakeboard, Towing ring, Kneeboard, Adult water-skis, CD library, DVD library, Stereo system, Air bed, IPod Dock, DVD player, Satellite television, Deck shower, Cell phone, Voltage: 110/220, Swim platform, SATCOM, Fax machine, Wi-Fi and Internet, Diving by arrangement / rendezvous, Snorkeling gear.